We offer an advanced facility and resources for pediatric researchers to conduct innovative research. The Office of Research Administration provides a centralized administrative infrastructure to support the research community and to ensure research activities comply with federal, local and private sponsor regulations, terms and conditions. Our research administration team is trained and certified to assist you through the essential phases of the research lifecycle. We help support those who are new to research administration, as well as develop and implement new tools and templates for research personnel. In addition, we provide clinical trial coverage analysis to help you determine which items and services are billable to third-party payers or routine. Staff help assess financial and general feasibility of each study. Our staff provides day-to-day support to help you handle the administrative aspects of managing a sponsored project. We can help with financial progress reports, no-cost extensions and carry-over requests, provisional account numbers, and budget revisions. Children’s Institutional Review Board (IRB) is a committee that helps protect the rights and welfare of human subjects in research. The Office of Sponsored Programs (OSP) assists with the grant process to support Children’s educational, research and public service missions. The Office of Research Compliance (ORC) distributes written policies, procedures and standards of conduct to promote adherence to applicable federal and Georgia State laws, regulations and institutional policies. Staff help keep you informed about research policies, perform assessments to improve study practices, and prevent research noncompliance and misconduct. They provide education, including research staff meetings held every other month. Additional educational opportunities are currently under development. The Children’s Healthcare of Atlanta Technology Transfer Program enforces our commitment to advancing pediatric medicine. The Office of Innovation and Technology Transfer is responsible for managing our intellectual property portfolio including evaluating new technologies, securing intellectual property (IP) protection, marketing and licensing. This clinical research fund, created through a generous commitment from the Dudley Moore family, was established to foster new and grow existing pediatric translational research among Children’s nursing staff and allied health professionals. 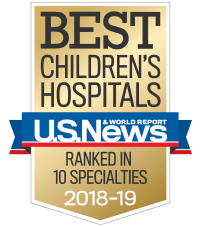 The fund supports research by respiratory therapists, clinical bedside nurses, physician assistants, nurse practitioners and other advanced practice clinicians—all complementing Children's other research efforts. The Nursing and Allied Health Research Committee, comprised of Children's peers involved in research, reviews competitive applications and makes grant awards on a yearly cycle. The Dudley L. Moore Nursing and Allied Health Research Fund is currently accepting funding applications. Submission deadlines are the first Friday in May and in October. Call Linda Riley, director of nursing research and evidence-based practice, at 404-785-9377. Provide immunization records (HR will schedule appointment with occupational health). Complete the Children’s online New Employee Orientation (NEO). Complete Epic Training via online learning management tool (PeopleIQ). Complete online Human Subjects Protection Training (CITI). Complete IATA (shipping and handling training). Complete the Children's Non-Paid Position Onboarding Packet and the Information Technology Acceptable Use Form and email a scanned copy to the Research Educator, Terrell Faircloth (404-785-3535). Processing initial appointments and reappointments for physicians and allied health professionals in accordance with The Joint Commission and National Committee for Quality Assurance (NCQA) guidelines. Verifying hospital and managed care affiliation. Facilitating delegated credentialing audits for managed care plans that contract with Children's and The Children's Health Network (TCHN). You must meet credentialing criteria and complete a scope of practice request form. For an application packet, contact Susan Guda, credentialing services, at 404-785-2198. If your prospective clinical trial involves human subjects, you must register it in compliance with International Committee of Medical Journal Editors (ICMJE) requirements. ICMJE member journals won’t publish trial results unless the trial is registered. All clinical trials conducted at Children's will be registered at clinicaltrials.gov. The ICJME defines a clinical trial as any research project that prospectively assigns human subjects to intervention or comparison groups to study the cause-and-effect relationship between a medical intervention and a health outcome. Studies designed for other purposes, such as to study pharmacokinetics or major toxicity (e.g., phase I trials), are exempt. Individual, if the clinical trial takes place outside of Children's facilities in a private practice office. Individual accounts may be registered without Children's assistance. Children's (as an organization account), if you’re a Children's employee or a member of Children's medical staff. Ask the Children’s research coordinator assigned to the study to complete registration. If no one is assigned to the study, contact Karen Querubin [link to karen.querubin@choa.org], clinical trials registration administrator, at 404-785-2215. Emory University (as an organization account), if you’re an Emory faculty member.